Karina Barrios, a student at the Ironbound’s Oliver Street School won first place among fifth to eighth grade students and Hawkins Street School student Arianna Alves won first place for first to fourth graders in the Ironbound Business Improvement District’s (IBID) 12th annual Anti-Litter Art Contest. Barrios was supported in her contest entry by Principal Douglas Petty and Art Teacher Rosalie Nascimento. Alves had the support of Principal Sandra C. Marques, Vice Principal Cristina DiTaranto and Teacher Filipa Silva. 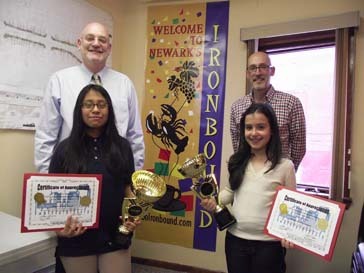 The students accepted shining trophies on behalf of their schools that signify their success in drawing attention to the IBID’s “Let’s Work Together to Keep the Ironbound Clean” quality of life initiative. 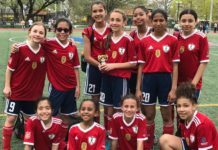 More than 50 entries were received from students at five Ironbound schools including Ann Street School, Ironbound Catholic Academy and Wilson Avenue School in addition to Hawkins and Oliver Street Schools. All of the students who participated received commemorative certificates from the IBID. 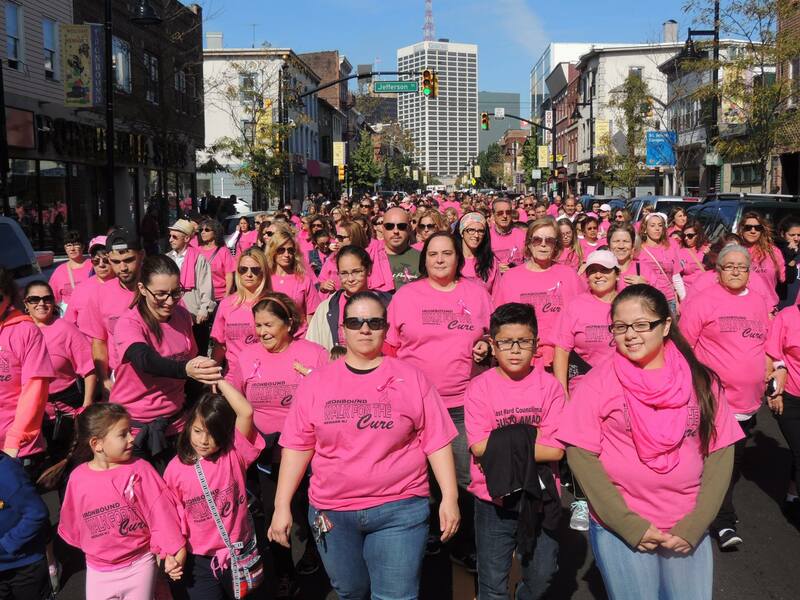 The contest was sponsored this year by Covanta Energy, the operator of the Essex County Resource Recovery Facility in Newark, Commercial District Services, the company that provides cleaning services to the IBID, Investors Bank and Councilman Augusto Amador. 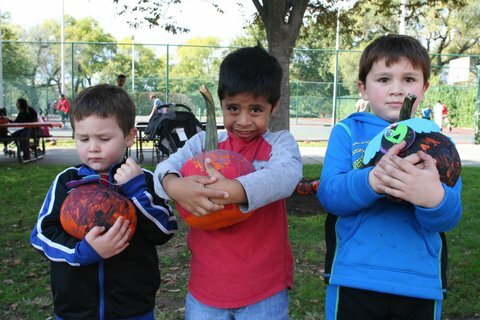 “We introduced this community-oriented program more than 10 years ago, and I am still amazed at the creativity and dedication our young people bring to a subject that’s important to their neighborhood and our City,” noted Steven T. Yglesias, IBID President. The IBID is printing thousands of postcards featuring the artwork of the winning students plus information about the Ironbound District’s trash pick-up and recycling schedules as well as rules and regulations regarding waste disposal. 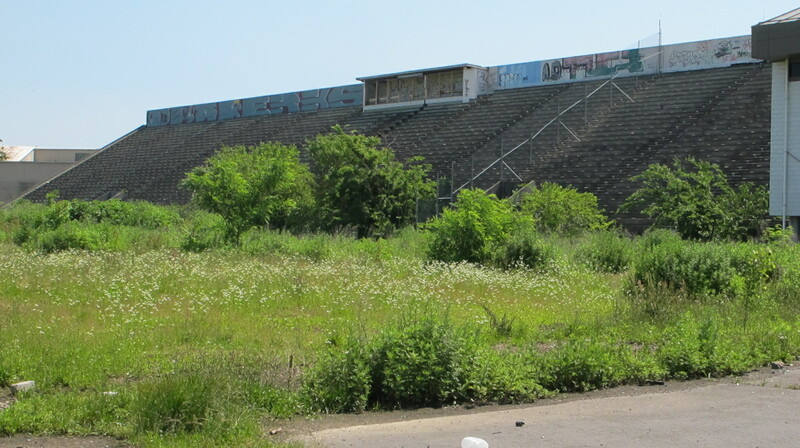 The postcards will be distributed through the Ironbound’s schools, and to district business and commercial property owners, as well as other community members. IBID Office Manager Leysly Roldan coordinated all details of the contest, working with the principals and art teachers from the Ironbound’s schools regarding the contest rules and submissions and also supervised the judging by the IBID’s board of directors. For more information about programs and services provided by the Ironbound Business Improvement district, visit goironbound.com or follow the Ironbound on Facebook at Facebook.com/goironbound.